There are a number of herbal remedies for diabetes available which have been used for a long time. Many would assume that herbal treatment for diabetes is not possible, but when administered under the guidance of a medical professional it is possible to control the symptoms in this way. For many, using an herbal treatment for diabetes is an attractive option, as some conventional medicines used to treat the illness have a number of side effects. However, it is not advised to stop conventional treatments unless directed by a doctor. Type 1 is an insulin-dependent type, as the pancreas is unable to produce insulin. 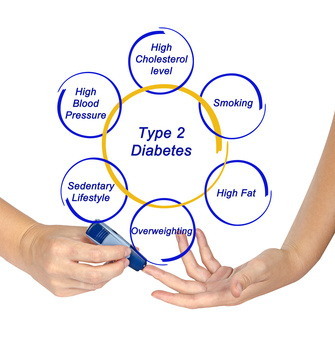 Type 2 is an adult-onset type that is the most common form of the illness. The third type is gestational diabetes, which affects women during the latter stages of pregnancy but often disappears following the baby’s birth. Insulate Plus by Native Remedies helps to naturally balance blood sugar levels as well as promoting a healthy pancreas and endocrine system. Asian ginseng has an insulin enhancing quality and can act directly on the blood sugar levels and lift the mood. Bitter melon also has the ability to lower the blood sugar, but excessive amounts should be avoided, as it may cause abdominal cramps and some digestive problems. Those suffering from hypoglycemia should also avoid bitter melon as a treatment, particularly if taking a traditional medication, as the effectiveness could be reduced. Fenugreek seeds have been used mostly as a digestive aid but can also regulate blood sugar levels. It has a high fiber content, which can delay absorption of glucose. As such, it should be used with caution, as it could cause some digestive upset. Pregnant or nursing women should avoid it altogether. Gymnema Sylvestre can lower blood sugar and reduce cravings for sweet things by acting directly on the receptors on the tongue. It can stimulate the pancreas and is administered as a juice. It can often be found in herbal remedies for weight loss. Cinnamon has similar properties to insulin and can be easily found and administered by simply adding it to food. It is thought to enhance the effectiveness of insulin. Onion and garlic are two other ingredients that can be simply added to a meal to produce benefits. They both have a positive effect on cardiovascular function and even small amounts can aid blood sugar regulation. Bilberry is thought to reduce the risk of some diabetes-related side effects, such as those affecting the eyes by strengthening the capillaries and preventing damage. Blueberry is closely related to bilberry and has a positive effect on blood sugar levels by aiding in the expulsion of excess sugar from the body. The leaves are the medicinal part of the plant, and it is administered as an herbal tea. Herbal remedies for diabetes are becoming more and more popular, and diabetes and herbs can indeed coincide. Herbs should, however, be used in conjunction with a healthy diet and regular exercise to ensure that the body is working as effectively as possible.